Crosbys S 326 A Hook are Individually Proof Tested at 2-1/2 times the Working Load Limit with certification. Crosbys S 326 A Hook have a Recessed trigger design is flush with the hook body, protecting the trigger from potential damage. Crosbys S 326 A Hook are Easy to operate with enlarged thumb access. 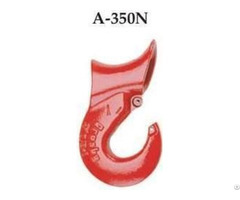 Crosbys S 326 A Hook have a Positive Lock Latch is Self-Locking when hook is loaded. 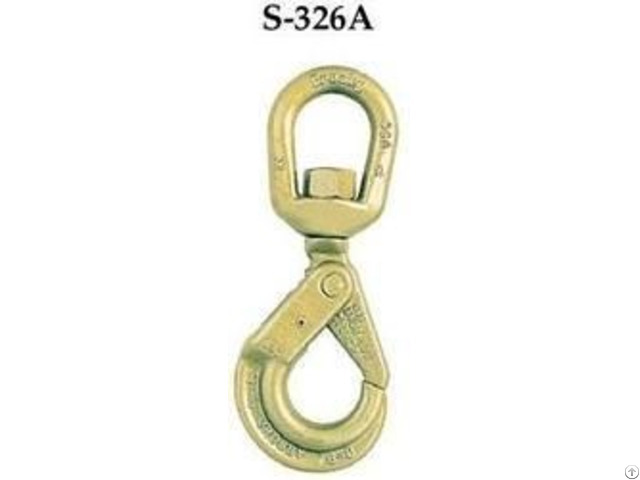 Crosbys S 326 A Hook are Rated for both Wire Rope and Grade 8 Chain. G-414 Heavy Thimble should be used with wire rope slings. Trigger repair Kit available (S-4316). Consists of spring, roll pin and trigger. 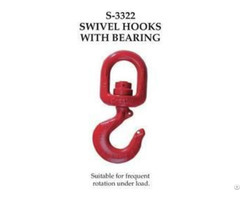 Crosbys S-3326 Swivel Hook utilizes anti-friction bearing design which allows hook to rotate freely under load. 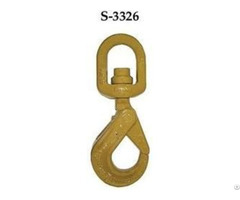 Crosbys S 326 A Hook are Fatigue rated.